You are here: Home / misc / Why is Color Knowledge Important in Photography? Knowing how to deal with and manage color all the way from capture to print is not as easy as one would imagine. In fact, there used to be professionals specialised in preparing a digital file to work with a printing process to produce an accurate print. But with the race for the lowest price, even professional labs no longer hire someone with the skills for this role. What used to be in the realm of professional printers has now become the job of the photographer. And it is no wonder that many photographers would rather not provide prints at all. Today we’ll go explain some of the challenges in producing a beautiful printed photograph. These are issues that plague digital photography. What does this mean to you? A beautiful baby photograph to me may look like a purple baby to you. Or vice versa. Who’s right? You won’t know until it’s printed! You never know what to do with blacks, does it look too bright, or is it lost in a black hole? Can you see the texture and the details? It’s even worse with whites! Will you get some invisible details when it’s printed? Will you get blocks and banding there? More often than not the effects are more subtle than what I’ve shown here. Because even if your monitor is green, your eyes get used to it and compensate. If I showed you those 5 babies one at a time, they would all probably look perfectly fine! Your retail labs also have variations in their color printing, so chances are you keep complaining and getting reprints with until a happy accident gives you an acceptable print. Monitor calibration – cure all? Search on google about Monitor calibration, and you’ll get 170 million results. It’s a serious (and confused) topic! Yes calibration will help a bit. It will tell you what is red and what is blue, and higher end calibrators will even tell you how to adjust your brightness. 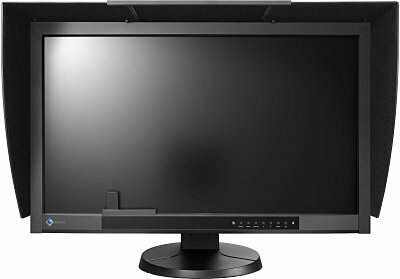 But a bad monitor is always going to vary and be limited in what it can display. That’s why you can buy a 27″ monitor for $199, and a 27″ monitor for $3585. And why the latter sells so well to visual professionals. I hope this explains to you why seasoned photographers want to give you finished printed artworks rather than digital files. It’s not just to save you time, it’s because there is a science to getting a beautiful print. You’d be surprised how often a new photographer would ask in a forum why their prints look green/red/blue/purple. Printing is a completely different skillset to photography. We’ve spent years perfecting that skill in order to deliver to you something worthy of that moment, that emotion. What pains me day in day out is seeing people’s wonderful memories on Facebook, and seeing that those photographs will never be printable. Yes, you’ll probably save some money going with someone who can’t offer prints. But think five years from now. You can have five years of your family enjoying your artwork daily, or you can have some files you’ve tried to print on photocopy paper at home. Which would you rather have? If you think your family is worth it, talk to us, and see how we can help you get something truly meaningful, and worthy of going on the wall. 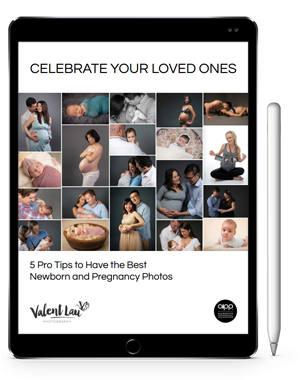 Valent Lau Photography provides Child and Family Photography and is based in South Coogee in Sydney’s Eastern Suburbs. Contact us now and take your first step towards creating some beautiful heirlooms.